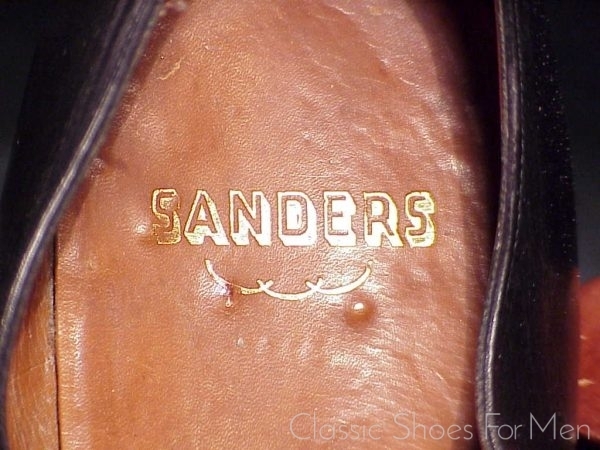 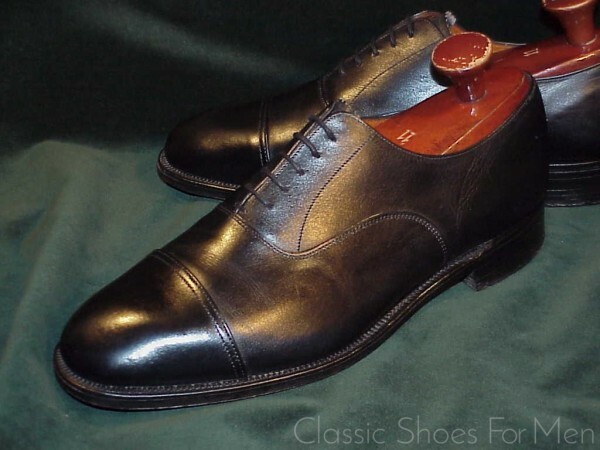 This venerable firm, well know in all the world today for the wide range of shoes and especially boots produce under their own name, has also produced high quality boots and shoes on government contract since WWII. 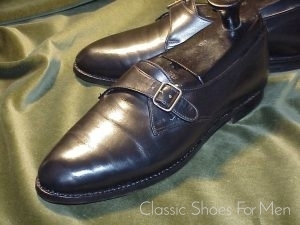 This, like all the militaria shown in these pages, is an authentic government issued shoe, made to military specification. 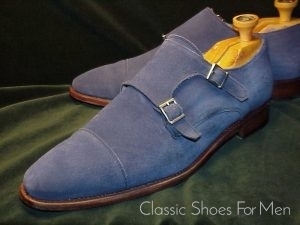 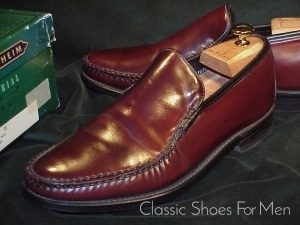 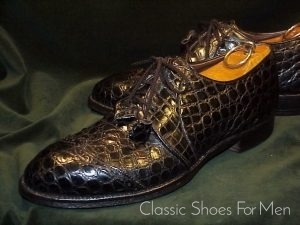 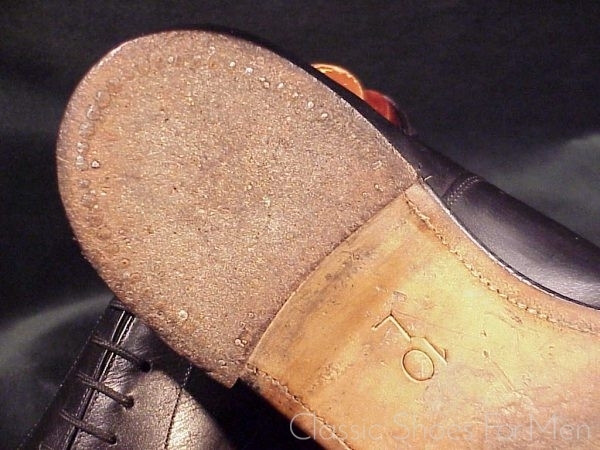 The high standard of workmanship includs Goodyear welted sole and steel reinforced, horse-shoe nailed heel. 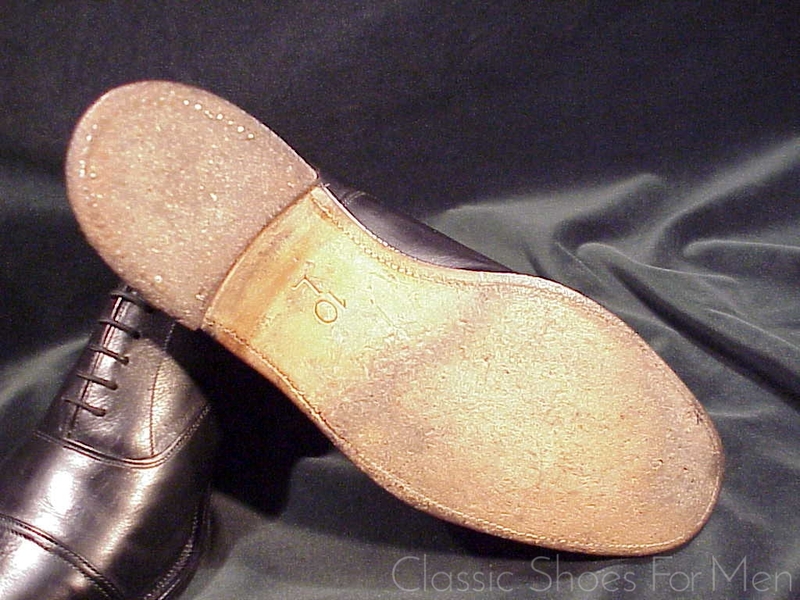 This shoe should not be confused with the less robust civilian models. 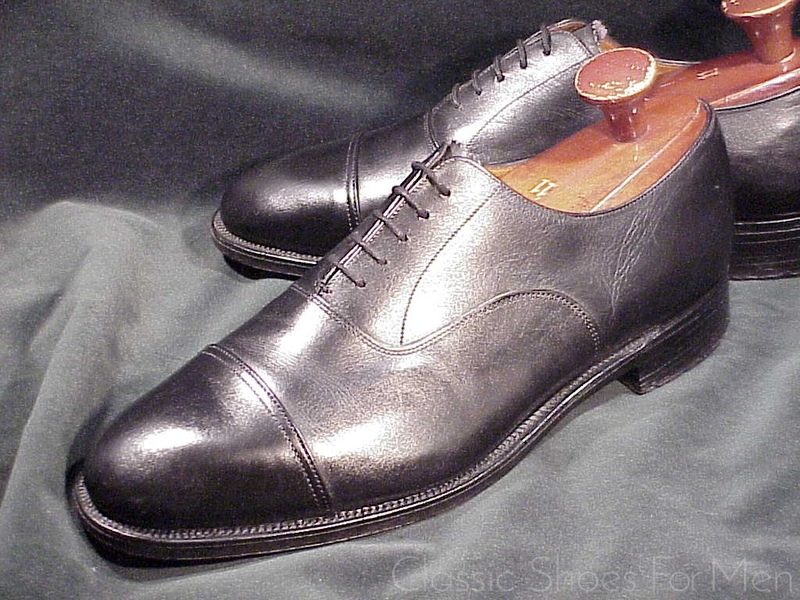 Count on a few wearings to fully break them in but then I think it is safe to say that this shoe will serve you long and like few others. 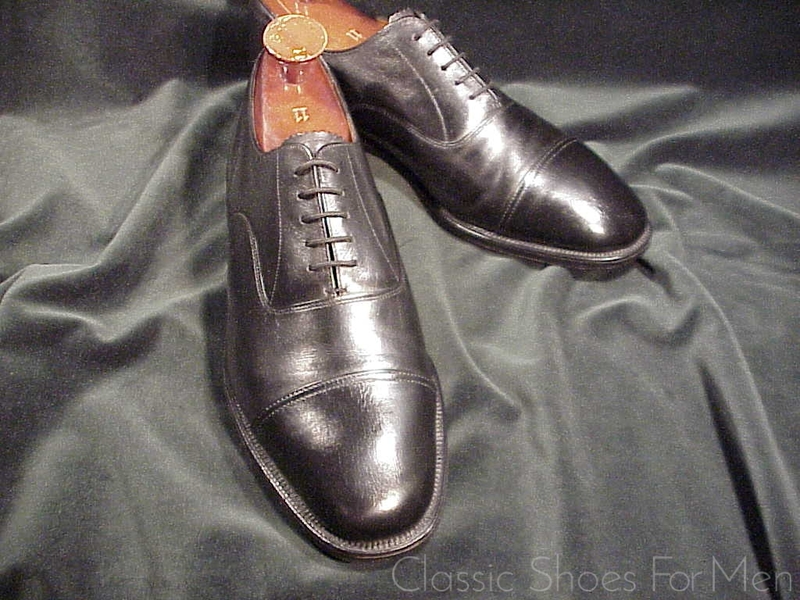 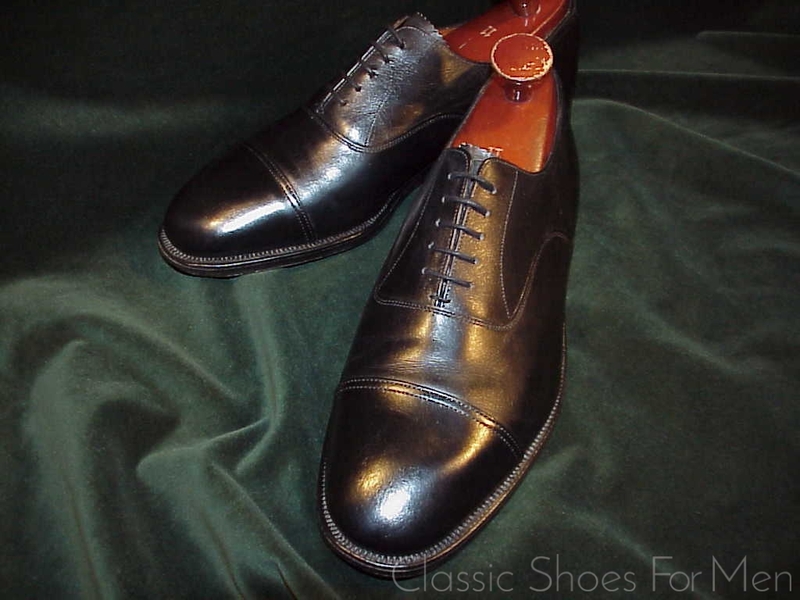 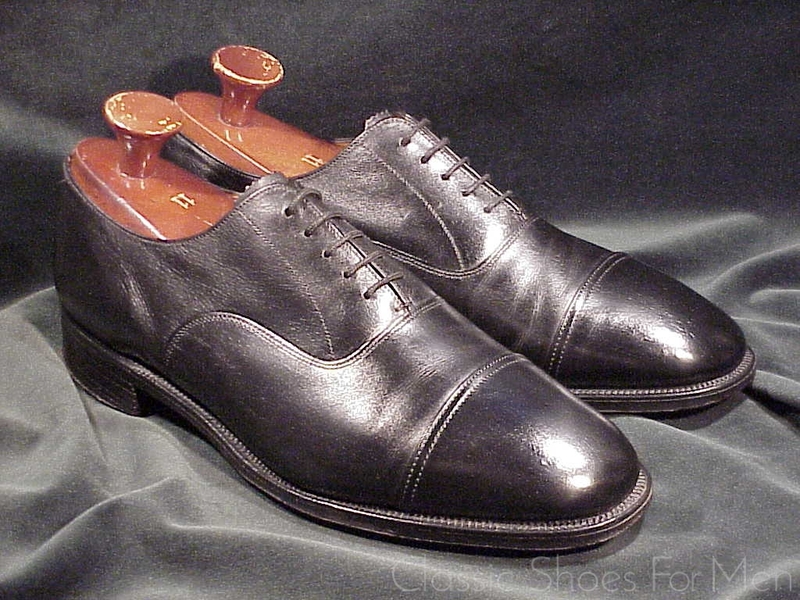 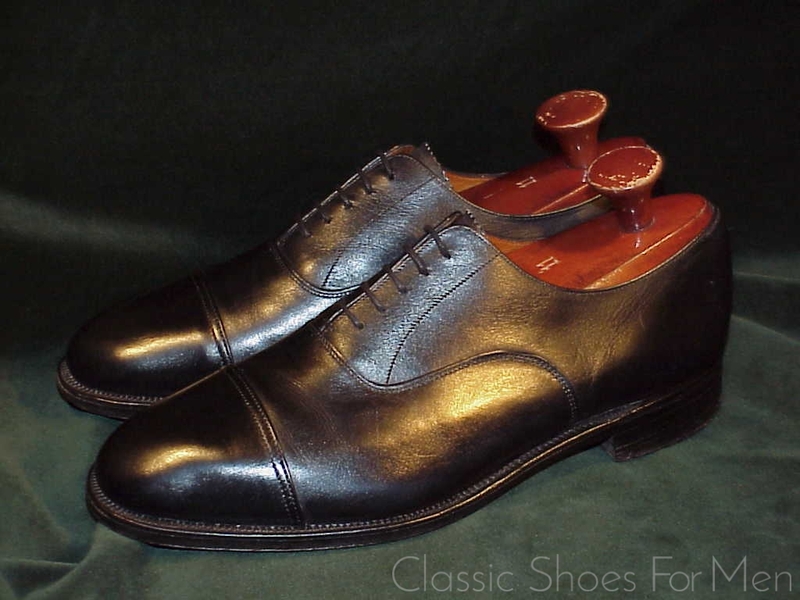 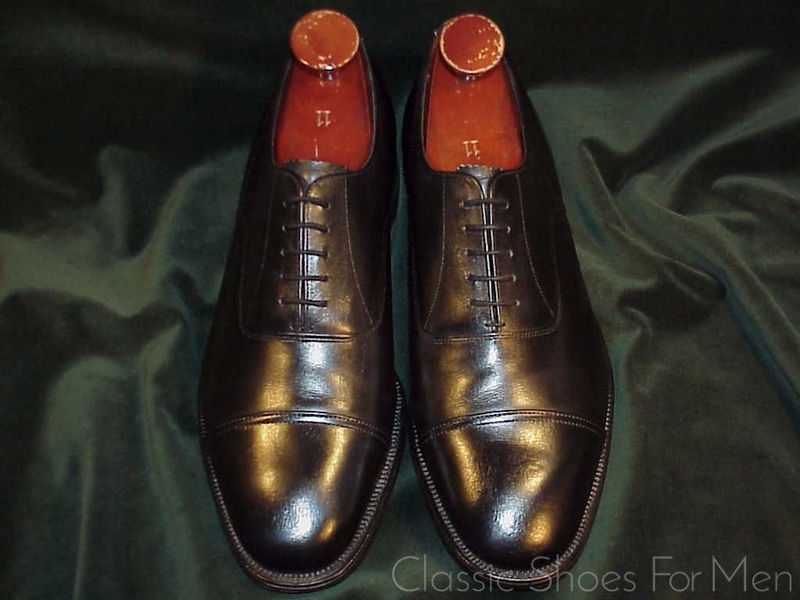 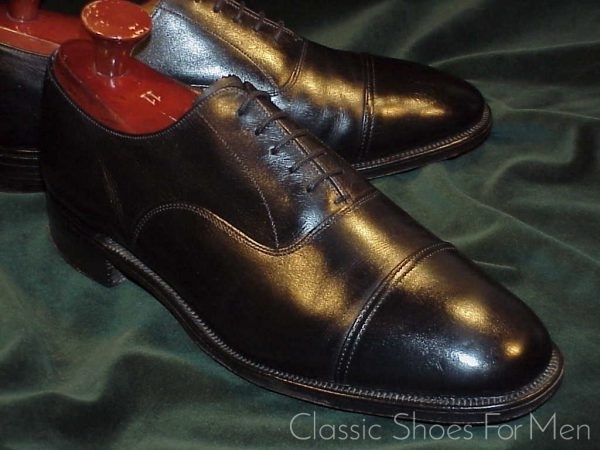 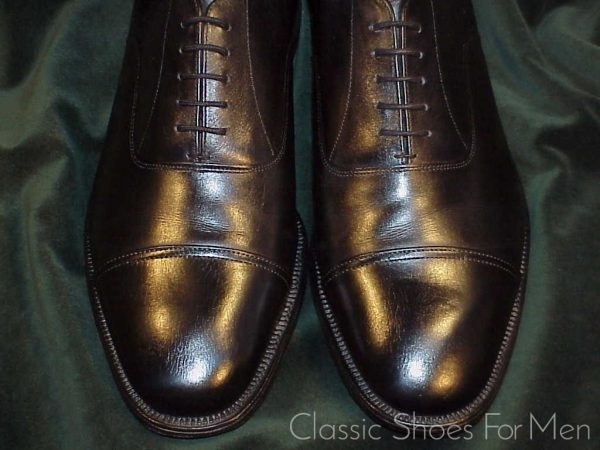 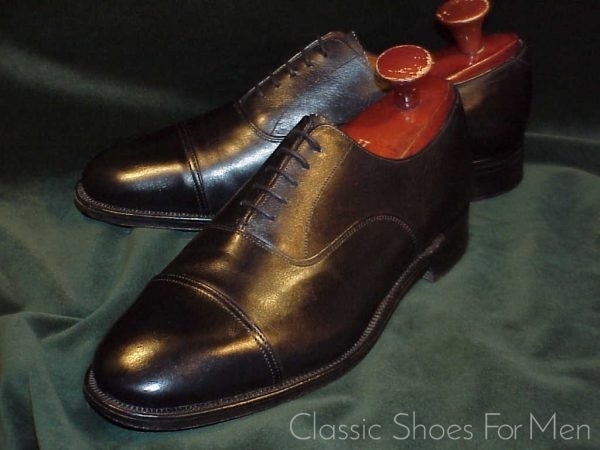 Of course the Cap-Toe Oxford model is the classic dress shoe for civilian as for military use. UK 10L (Wide, equivalent to a civilian F fitting)...fits like a US 11E.....Continental 44.5E, a generous but acceptable fit for the mid-width foot (with a heavier sock) and a perfect fit for the wider foot. UK 10L........US 11E.........Continental 44.5E, für den mittel-breiten bis etwas breiteren Fuss.